Call your local banker and see if you can convince them to pay you 12% interest. No luck??? Well you may still be able to get 12% interest paid by your Florida government. (2) ... If the value adjustment board determines that a refund is due, the overpaid amount accrues interest at the rate of 12 percent per year from the date the taxes became delinquent pursuant to s. 197.333 until a refund is paid. Interest does not accrue on amounts paid in excess of 100 percent of the current taxes due as provided on the tax notice issued pursuant to s. 197.322. Now more than ever, it can really pay to appeal your real estate property taxes. In the past, the government charged you interest if you didn't pay your property taxes, but they never paid you interest if you appealed your property taxes and got them reduced. Now, Florida Statutes Section 194.014 levels the playing field by allowing property owners to obtain 12% interest on any over-payment. There is no way of proving you overpaid your taxes UNLESS you appeal your taxes! Filing a petition to appeal your property taxes before the September 19, 2011 Deadline Date is the only way to give yourself a chance to show why you overpaid on your taxes. What is the role of value adjustment boards? What factors affect the length of the value adjustment board process? What costs are associated with the value adjustment board process? What options could the Legislature consider to modify the value adjustment board process? (2) If the value adjustment board determines that the petitioner owes ad valorem taxes in excess of the amount paid, the unpaid amount accrues interest at the rate of 12 percent per year from the date the taxes became delinquent pursuant to s. 197.333 until the unpaid amount is paid. If the value adjustment board determines that a refund is due, the overpaid amount accrues interest at the rate of 12 percent per year from the date the taxes became delinquent pursuant to s. 197.333 until a refund is paid. 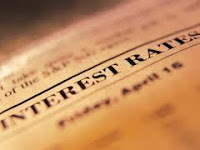 Interest does not accrue on amounts paid in excess of 100 percent of the current taxes due as provided on the tax notice issued pursuant to s. 197.322. Can You Point Out The Flaws? The Property Tax Appeal Group has trained professionals that can identify and point out reasons the County should reduce the property taxes for your home, condo, or commercial property in Miami Dade and Broward County. For over 30 years, the Property Tax Appeal Group ("P-TAG") and its principals have appealed the real estate (ad valorem) property tax assessment for many retail shopping centers located in both Miami Dade and Broward County. 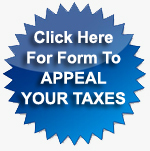 Because both Miami Dade and Broward County recently mailed out their proposed tax rates (called a "Truth In Millage Notice" or TRIM Notice) to all property owners, any owner of real estate property located in either Miami Dade or Broward County now has until September 19, 2011 to file petitions to appeal their real estate property tax assessment.